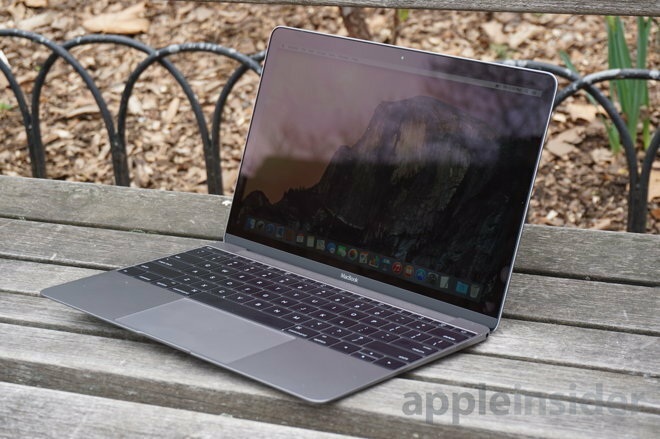 Apple on Tuesday published a support document to its website detailing workarounds for apparent system stalls some new 12-inch MacBook owners are experiencing during the setup process. According to Apple, users setting up their new 12-inch MacBook with Retina display are being met with a spinning wheel, known colloquially as the dreaded "spinning beach ball of death," in Mac's Setup Assistant. In certain cases, the system stalls for up to 30 minutes before moving forward, Apple's support documents says. It appears the issue traces back to user account provisioning on Apple's end, and perhaps iCloud. As noted by Apple, affected users can avoid the delay by moving through Setup Assistant without first connecting to the Internet. Registering user credentials offline of course means no data is sent to Apple's servers for verification or initialization, which seemingly bypasses the issue's root cause. Once the offline setup process is complete, owners can restart their MacBook, join a local Wi-Fi network or connect via Ethernet, then finish iCloud registration from System Settings or via guided prompts. Apple points out that users seeing the spinning wheel can restart their system during setup and try again. Exiting the process prematurely could potentially create a partial user account on Apple's end, denoted by a pop-up saying, "This user account already exists." In such cases, Apple recommends completing the setup process with a temporary user name, logging out, deleting the test account and logging back in under the desired account. Apple's Support document was spotted by iMore earlier today. It is not clear how widespread the MacBook setup issue is, though AppleInsider experienced a hang that forced a restart when setting up our MacBook review unit. Apple's Support Communities forums also show no substantial threads pertaining to the issue. Editor's note: This article has been updated to note an issue AppleInsider saw while setting up a new MacBook for testing.